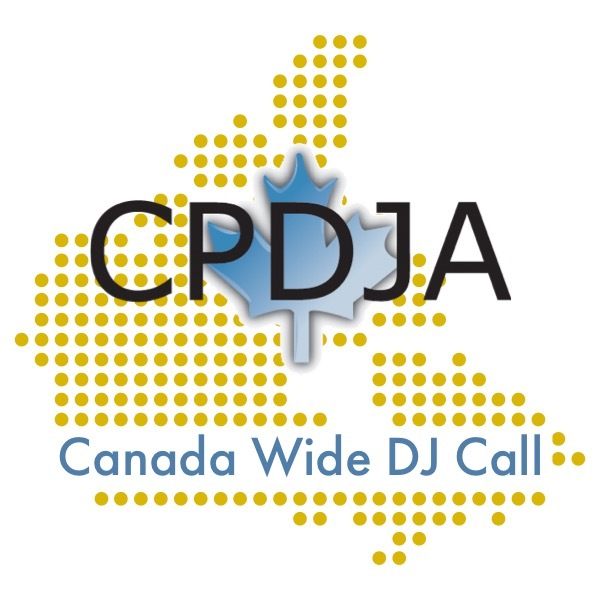 In continuous operation since June 2016, the Canadian Professional Disc Jockey Association has hosted the popular Canada Wide DJ Call (CWDJC). The CWDJC takes place once a month from September to May (June, July and August are generally off months as DJs are simply too busy to attend). The live call has always been open to both CPDJA members and non-members to attend. It generally takes place on a Monday or a Tuesday evening and begins, live, at 6:00 PM Pacific, 7:00 PM Mountain, 8:00 PM Central, 9:00 PM Eastern and 10:00 PM Atlantic. Attendees simply connect to the call online using their camera enabled computer, tablet or smartphone. Information on the scheduling of these calls, including the topic, guest, theme and the date they are taking place are always posted in the Weekly News Memo (that members of the CPDJA receive every Sunday morning). Our publicly accessible Networking Nights and Special Events page also displays upcoming CWDJC information. Since April 2017, the CPDJA has been recording each CWDJC as an added benefit exclusively for Professional Members of the CPDJA to replay after the live broadcast of a call has been completed. CWDJC Replays are accessible to Professional Members from the members only dashboard (login required). For a sampling of a past CWDJC Replay, see this publicly available recording of our annual recap of the best takeaways from Mobile Beat Las Vegas 2018. What follows is a full listing of all CWDJC Replays available to our Professional Membership. To access all of these recordings immediately, please upgrade your General Membership to a Professional Membership (login and follow the instructions) or join the CPDJA today!